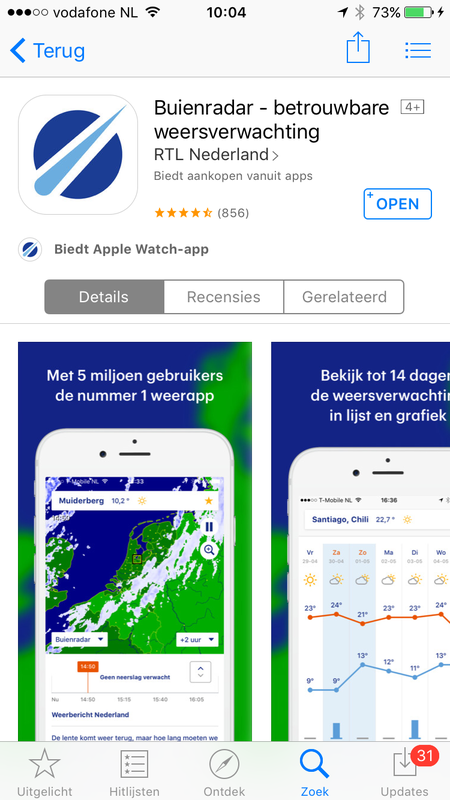 Last May the new Buienradar app went live (more here). With over 2 million users each month, it’s one of the biggest dutch apps. This brings the possibility to create campaigns targeted on a large group of users. 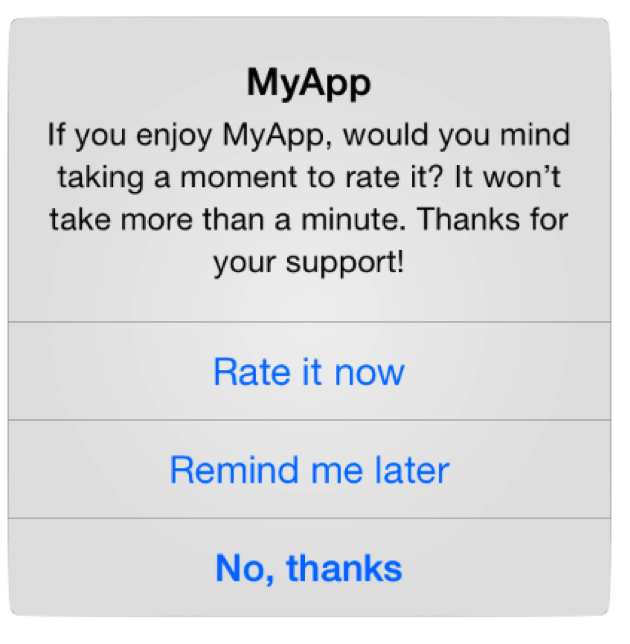 A popular campaign in apps is convincing users to review your app. We did have a successful campaign with Buienradar the first month, with over 800+ reviews and an average rating of 4.5 stars! A quick look on Github will give you a few frameworks which will give you the code to implement a rating request. Polljoy, iRate and Appirater are popular ones. Polljoy listed these here with pros and cons. The most popular one seems to be Appirater, which works and quickly gives you a way to target on your users. This could work, but it can be done better. 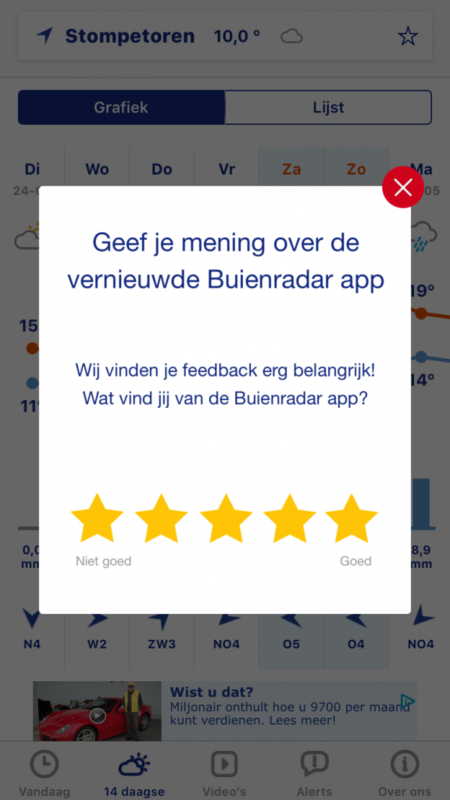 It didn’t suit for Buienradar, as we want to control the moment of showing the rating request ourself. Furthermore, we would like to know which rating is given and show the feedback form on users which rate low. A big mistake many apps make is showing the alert right after launch. 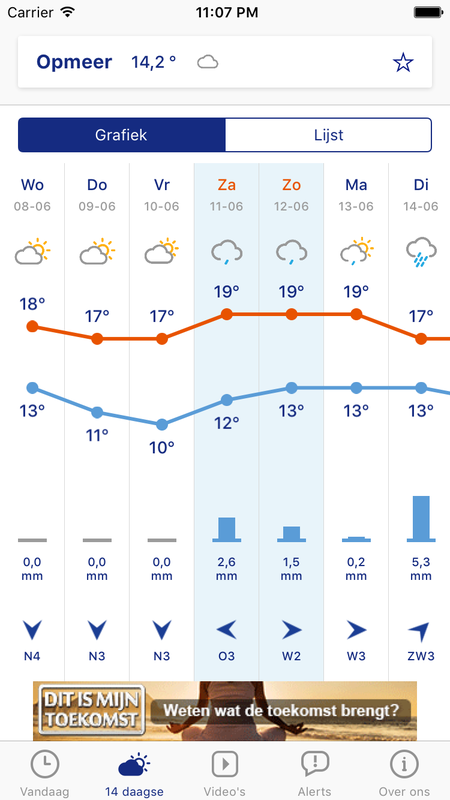 Buienradar users mainly use the app to quickly look if it’s going to rain. 40% is leaving the app on the first screen and the average sessions time is under 20 seconds. 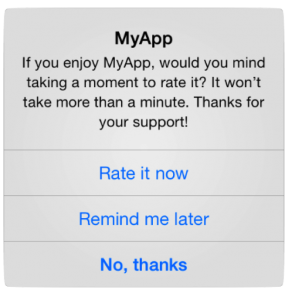 The last thing users want is to rate your app when they’re on a quick lookup in your app. You’ve shown the alert and the users presses later or don’t show again. Failed! Swrve made it possible for us to create this type of targeting. Swrve brings you the possibility to target with events triggered by the app, for example the event of the 14 days forecast. Furthermore, you can target on metrics like app versions, iOS versions and so on. The alert triggered by Swrve is created on the web. If the user gives a rating lower then 3, it will be navigated to the feedback page through deeplinking with Swrve. This resulted in many filled feedback forms and some quick updates afterwards. After one month we’ve released three updates with new features and fixes based on user feedback. At the end this will result in better reviews as well, as users wont have any issues left and are happy to see their feedback is taking serious. If the user is giving a 4 or 5 star rating, he’ll be navigated to the App Store. At the end it gave us over 800+ reviews with an average of 4.5 stars! Make sure the moment is right to show the alert. Create a specific group of users which convince you they’re in love with your app and are happy to give you a rating. Picking the right tool makes it easy to implement and gives you freedom to test several pages in your app. Swrve perfectly suits for this.